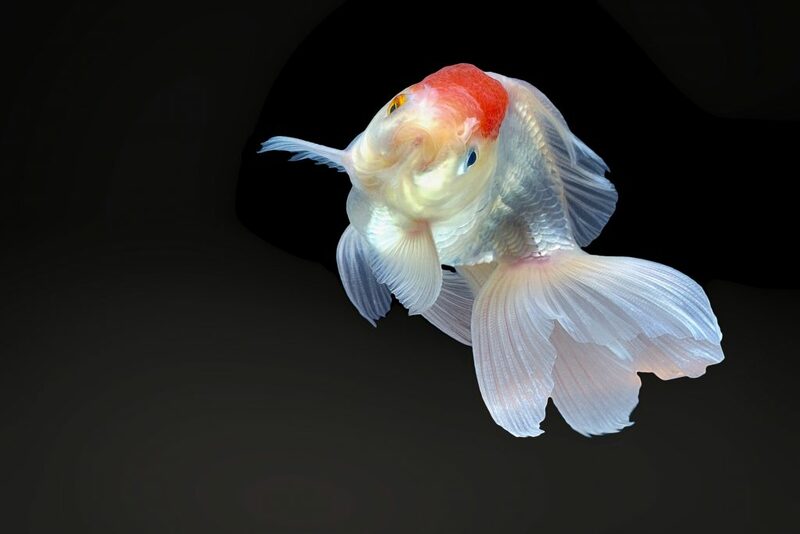 Fancy goldfish can live for up to thirty years. Much longer than most people realize. They can also grow up to a foot in length. If you are new to the wonderful aquatic world of fancy goldfish, there are a few things you should know when it comes to caring for these fun fish. Your tank size will be determined by the number of fancy goldfish you intend to keep. Two adults require at least a 30-gallon tank. We recommend selecting a quiet corner away from direct sunlight, drafts, direct heat from your furnace or cold air from your air conditioner and house traffic. The location should also be close to a source of power and preferably one that you can use a GFI with. Most aquarium starter kits include the tank and a stable stand. When filling the tank, be sure to use dechlorinated water (Note: many water districts now use Cloramine in the water, this means you need a water conditioner that not only removes chlorine, but also breaks the chloramine bond and removes the chlorine and ammonia which result) and fill up to halfway. Then layer approximately 3 inches of rinsed gravel across the entire bottom of the tank. Add necessary equipment including a thermometer, filter, heater, light and decorate your setup with rocks, plants or anything else your heart desires. Just be sure anything you add to the aquarium during your decorating process is safe for the fish. When you buy your fancy goldfish, bring them home right away and be careful to avoid transporting them in any manner that will allow their water to become too hot or cold. You should set the bag of water that your fish are in, inside your tank so they can acclimate to the water temperature you have preselected for your tank. When ready, use a net to transfer the goldfish. If possible, try to keep the old water they came home in separate. We also recommend only adding up to two fish at a time. Adding any new element to your tank can alter the chemical balance so you’ll need to be alert to changes in the pH, ammonia, and nitrate levels, especially as your tank progresses through the nitrogen cycle. During this cycling your fish can be exposed to toxicity that can cause them serve or permanent damage. To help your fish thrive, feed them pellets or flake food regularly. Given the messy nature of goldfish, choosing a higher quality diet with a high feed efficiency can help reduce the messiness and also your maintenance tasks. The small additional money spent on a good quality food will save you many times over. Sinking pellets are preferred by many to help avoid complications. Goldfish are grazers so smaller more frequent feedings are also best if your schedule will allow. If you notice any signs of illness or distress, like erratic swimming or hovering in one place, a decreased appetite, abdominal or eye swelling, or inflamed skin or fins, talk to a professional about the right course of action.